We welcome visitors by prior appointment. Our business hours are from Monday - Friday, 8:00 am - 5:00 pm. 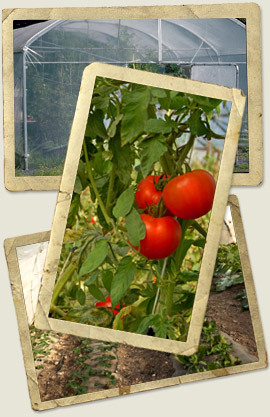 Established over 30 years, the family run business of Highbank offers a large amount of expertise to both the small and large polytunnel producer. Highbank Ltd is based on Highbank Organic Apple Farm in Kilkenny offering first hand experience in production under plastic greenhouses as well as displaying current innovations to the market that assist the home grower & allotment owner as well as the commercial producer. With over 26 years experience, Highbank can offer advice and professional technicians to help with recladding and assembling your greenhouses. Our technicians are available for both turnkey assembly and at daily rates. For those who wish to assemble their own polytunnel, we have full assembly instructions and telephone backup for all our greenhouses. With the onset of growing your own vegetables, many enthusiasts are designing and building their own tunnels. We are delighted to share and supply any assistance with cladding and steel materials that may be required. Patented Highbank Tunnel Sliding door..